Life of men appears to be simple and easy when it comes to grooming and making up for the events or occasions, as all it takes for them is a little time to get the “Make-up” stuff done. But is it really simple? Nah! Unlike women, the men may not take long to make their choices in choosing their wearable but they really take a little while to decide when it comes to grooming stuff. Yes, the grooming stuff for men that usually includes the perfumes, deo, hair gel, shaver, trimmer etc., has slightly more priority on men’s checklist. Men get choosy in case of grooming because they find it as the factor that has a direct impact on the appearance and the first impression and for the young blood it is considered being the most important first impression factor. They always seem conscious about their appearance their attire, their hair, their beard etc. Talking about the beard, growing beard is the hot trend, and this trend is supposedly being followed by men of around all ages. With these came up the beard styling and shaping for the more attractive look and eventually it is the in vogue styling and grooming part for most of the men. There are a lot of grooming tools and their brands available in the market to choose from and the men don’t seem to have a particular choice of brand when it comes to grooming tools, when such is the case it is important to for them to identify the tool with the best feature and functionality for the right styling. Styling or maintaining a beard isn’t easy as pie, it involves making choices of what trimmer to go for, which one is best for your kind of beard, and what comes with the most range of features and many others. So, stick till the end to get some help in making the right decision before buying the beard trimmer. 1. Is it a Brand? If not, what is the measure of its quality? 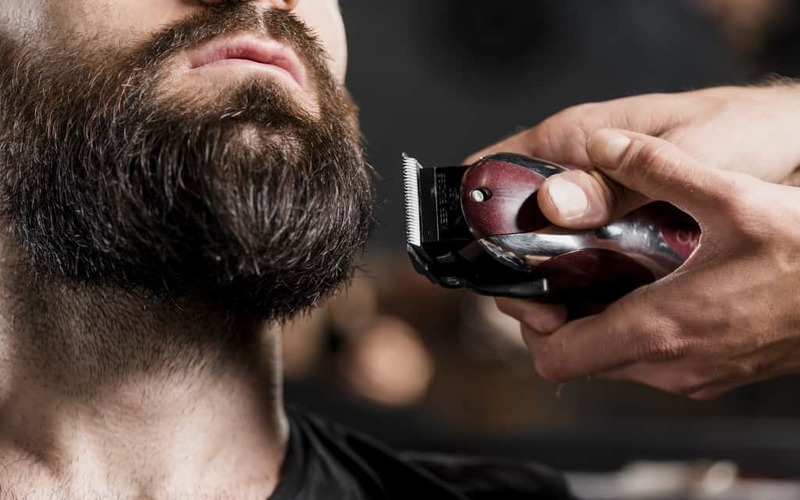 It is a human tendency to get lured to a brand in the popularity sense, but when it comes to choosing a perfect beard trimmer all you need to consider is the quality of the trimmer. Though the trimmer sounds brand, it may sometimes not reach up to the level of performance you expected. So, check up the reviews about its quality before you go for it. 2. What all can it offers you like a trimmer? It is important to know why a particular product is better than any other. The range of features and functionalities of the product decide the reason for it being the best of all. So, when you are going for a particular trimmer make sure you find the convincing reasons to buy it. Cordless trimmer makes it easy to use and maneuver around. A trimmer with a good grip is important to avoid accidental slips. Look whether the trimmers offer a rechargeable battery if so it can be easy to carry it on the go. Make sure the trimmers come with safe cuttingheads so that you can cut hairs easily in from your sensitive areas. Safety is like any other usual and primary concern you should have when you are buying a trimmer. Look for the trimmers with sharp titanium and stainless-steel blades for easy, safe and neat cut, however, the blades can be replaceable. Choose the trimmer that makes it easier to cut the hairs from the sensitive areas like ears, nostrils, brows etc., consider in accordance with the precision of the tasks the product will have to perform. 4. Is it satisfying all your needs? The basic features like length options, the rechargeable battery can be found in almost every trimmer available in the market. But there are few trimmers that outsmart the customer’s expectations and features the functionalities that make the customer’s tasks easier. Like few trimmer shave a built-in mini spotlight to give a better view of the interior of nose and ear to makes it easier to get that little hair inside trimmed. Bearing in mind the needs of dry and wet shaving, some trimmers are designed to accommodate both dry and wet styling. Some trimmers can be used for the body as well as the face. So, it is better to look for the one that can do all for you rather choosing the ones with limited functionalities. 5. Is it fitting your budget? And finally comes the money aspect, this is maybe the primary and secondary concerns for the people when buying a trimmer. Since there are a lot of varieties in the trimmers and the difference in features and functionalities it can be said that the best one you look for the more expensive it gets. A good trimmer can range from around £30-£100. So, these were the aspects that an individual should look for in a trimmer before giving it a thought to buy. Apart from these, the customer can also consider the aspects like duration, angled attachments, etc., for the button on the right one to style their beard. Your manscape is really a serious business for you so it is important to get the right the tool to make sure that no hair is out of place and you get the styling done your way at your own space.